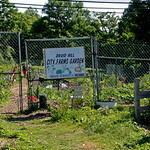 The City Farms Program, operated by the Horticulture Division of the Baltimore City Department of Recreation and Parks, began in 1978 with gardens at Clifton Park and DeWees Park. It has grown to an organization of eight gardens. Another six gardens are located in Carroll Park, Druid Hill Park, Leakin Park, Patterson Park, Roosevelt Park and Cimiglia Park at Fort Holabird. More garden space is planned at Heath and Charles Streets in South Baltimore and at Rock Rose Park near TV Hill. 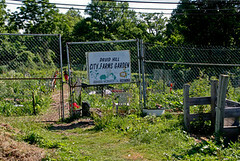 These City Farms plots rent for $30 per year and offer gardening opportunities for over 500 families. Is there a plot available in Druid Hill Park?